This is Old Havana's classic cathedral. 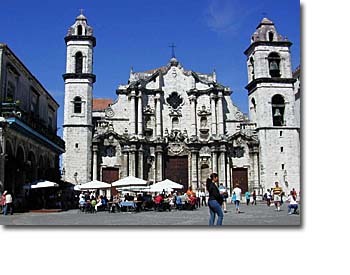 The plaza fronting the cathedral and the church's baroque facade, with its asymmetrical towers, are the most visited attractions in Habana Vieja. Inside, the cathedral is simple, almost to the point of austerity, thanks to a radical 19th-century neoclassical makeover. Still, the vaulted ceilings, massive stone pillars, and modest collection of art and antiquities certainly make it worth a visit. Of these, the 17th-century wooden sculpture of Saint Christopher is quite interesting, note the shortened legs, which were cut in order to get the piece into place. 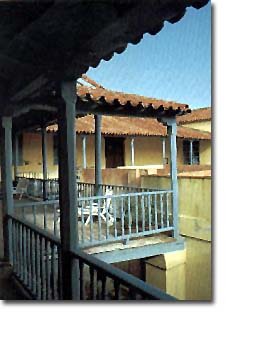 One of the oldest and best of the Spanish colonial monasteries on the island, this building is now home to the Centro Nacional de Restauración, Conservación y Museología or CENCREM (National Centre for Restoration, Conservation and Museum Studies). Founded in 1644 it has, despite its peaceful history, given rise to many tales and legends of unrequited love and hidden treasure. No evidence has ever been uncovered to back up these stories. In 1919 it was sold to the Cuban government. 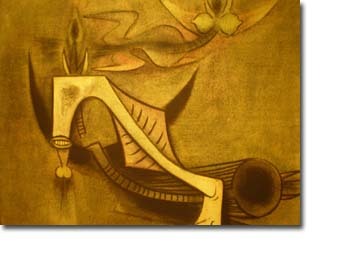 As well as operating as a museum, there is a gallery showing contemporary Cuban art. 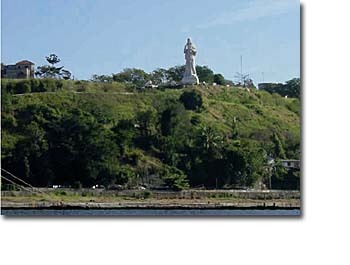 Havana's statue of Christ blesses the city from the other side of the bay, much like the famous Cristo del Corcovado in Rio de Janeiro. Carved from marble by Jilma Madera, it was erected in 1958 on a platform which makes a wonderful spot from which to watch the sun go down. You can reach the statue by road, or via the picturesque boat which crosses the bay. A 24 hour snack bar operates at the base.